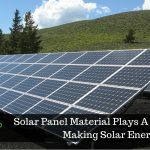 If the mere utterance of the word “solar panels” leads you to picture a roof covered with unconventional, but innovative rectangles, your idea about solar energy is quite limited. No doubt roof mounted systems are very popular, but in case you are looking to maximize your return on investment by gathering maximum power, without having to reorient your roof, ground mounted solar solutions demand serious considerations. Why choose Ground Mounted Solar PV Systems? 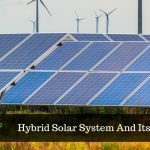 Ground mounted solar photovoltaic systems have benefits of their own, which based on certain situations, may be preferable to rooftop mounted panels. 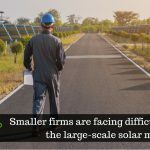 One obvious advantage is you do not have to alter your roof to accommodate solar PV panels imperiling it to damages or leaks, or higher maintenance costs if things do not work as per the plan. Ground mounted systems can be placed ideally anywhere in the premises where there is ample space. Rooftop may not always be situated at the best angle with respect to the rays of the sun to maximize solar energy production. In such a case, it is better to opt for ground mounted solar PV Systems. It is preferable to install the panels where air circulation is freely available. Ground mounted systems have room below them so that air circulation is available and the panels are kept cool. Ground mounted systems facilitate ease of maintenance. Cleaning and keeping the panels dust-free is substantial since the panels work best when they are clean and serviced regularly. Without having to climb on the roof, maintenance of ground mounted solar PV systems is much easier. There might arise a case when you have to expand your solar panel system. With a rooftop system, it might often be a brooding concern. Ground mounted solar PV systems are almost always scalable providing you every opportunity of hassle-free future expansion. One of the questions that is liable to strike you over and again is, ‘Which is the better option, rooftop or ground mounted solar panels?’ And the wise men’s words sprinkling their wisdom here as well is that both rooftop and ground mounted have advantages of their own. Based on your requirements, it is you who must determine, yourself or with the help of a solar energy partner, which option is best for you?